This Pesto Mac and Cheese Lasagna was a total experiment. I thought of it on a whim, and I was very pleased with the results. It’s an excellent way to make use of leftover noodles. And the basil pesto and sour cream give the dish a tangy surprise of flavor. It’s a Mama Galuchi original! A mac and cheese of a different sort! What do you do when you make a large lasagna and you have several leftover cooked lasagna noodles? Find inventive ways to use those noodles, of course. 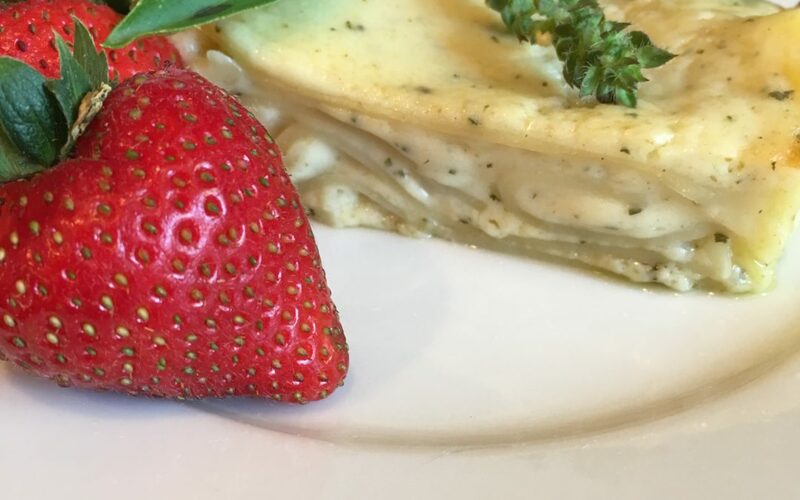 Lasagna noodles are a form of macaroni, so why not make a simple cheese sauce, throw in some prepared pesto sauce and a little sour cream, and layer the sauce with the noodles to make a tasty mac and cheese dish that is in the form of a lasagna. Once it's baked, cut into portion-size squares and serve as a side dish with your favorite protein and a salad. Melt butter in a medium saucepan. Slowly add flour and whisk over medium heat until smooth and bubbly. Slowly add the milk and incorporate it into the sauce until it is again smooth, bubbly and also thickened. Remove from heat. Whisk in shredded cheeses, sour cream, and pesto sauce. Stir until cheese melts and the sauce is smooth and velvety. Season to your taste. 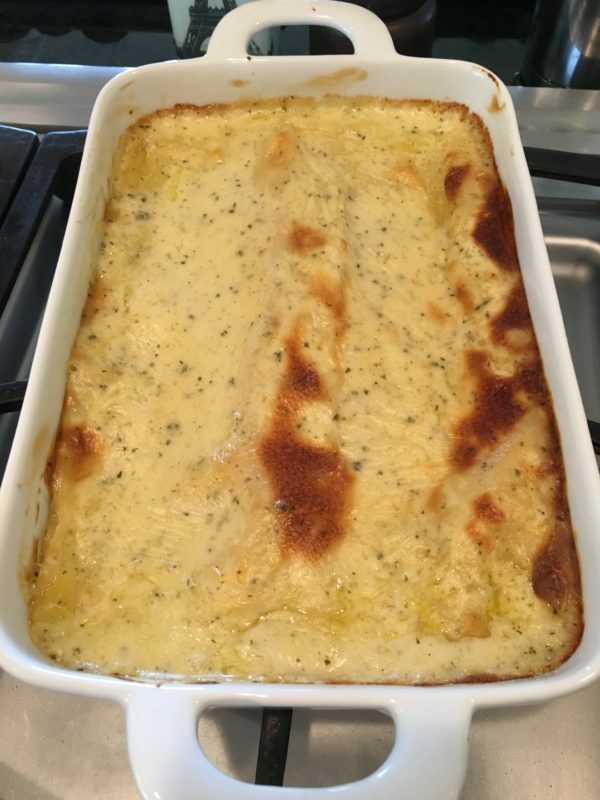 In a medium baking dish, layer pesto cheese sauce with the lasagna noodles, starting and ending with the cheese sauce. Bake in a 375 degree oven for 20 minutes or until bubbly throughout. Set for 5 minutes. Cut into squares and serve hot. Once baked, the lasagna can easily be cut and stored in freezer containers for a tasty side dish at any time.